As children grow into adults, it is normal for parents to need additional help as they age. When the caretaking role reverses, parents transition from taking care of their children to their adult children caring for them. Both senior parents and adult children face the challenges that come with this change. At times, the situation can become overwhelming as it becomes clear that adult children may need more help from resources outside themselves. If you are an adult child of a senior parent, you may be deciding whether or not it’s best to move your senior parent into a senior home. Senior Care Center is here to provide you with the resources to make the best choice. The purpose of this article is to provide you with important information as you prepare to transition your loved one into a senior home or care facility. There is a wide range of options for senior care and your options vary depending on the senior’s needs and abilities. Everyone has a different situation and it is important to look at all options to ensure the best decision. In addition to factors such as safety and available assistance in the facility, it is important to include the issue of comfort. Finding the right place to call home may take some work, but it will be rewarding for your loved one. If you are not sure which community would suit your family member or loved one, first examine what their needs are. Set up an evaluation with a family physician to help you assess their condition. The doctor will examine the physical and mental capacities of your loved one and clearly assess what your loved one is struggling with. The tests evaluate your loved one’s ability to perform activities of daily living, also known as ADL. These activities are a list of everyday tasks that are essential for independent living and functioning such as walking, bathing, eating, dressing, personal hygiene, and others. The doctor will also examine your loved one’s capacity to perform instrumental activities of daily living, also known as IADLs. These activities are more complex in nature and include transportation, shopping, managing finances, communicating with others, preparing meals, managing the household, and other tasks. Independent living facilities offer seniors the benefits of living in a social community while maintaining their independence. These communities are best suited for seniors who don’t require extra assistance but are unable or unwilling to live on their own. Independent living facilities are also known as senior communities or retirement communities. These communities are designed for men and women over the age of 55 who do not require medical attention or help with the activities of daily living. Senior Communities will offer assistance with laundry, basic housekeeping services, and other errands, including rides to medical appointments. It is important to note that independent living facilitie will not provide help with bathing, dressing, medication reminders, or other health-related needs. Seniors living in these communities are typically in good health and are able to function very well on their own, with little to no extra assistance. Some living communities will offer condos or apartment-style homes to choose from. The living situation is set up to foster social relationships with other community members. Independent living facilities are a great option for senior widows and widowers who seek the benefits of a social community. It is also suitable for seniors who feel the family home is too large for them to manage and maintain. If the senior in question does not need additional nursing or medical attention and is in a healthy, independent state, an independent living facility would be a fantastic option. 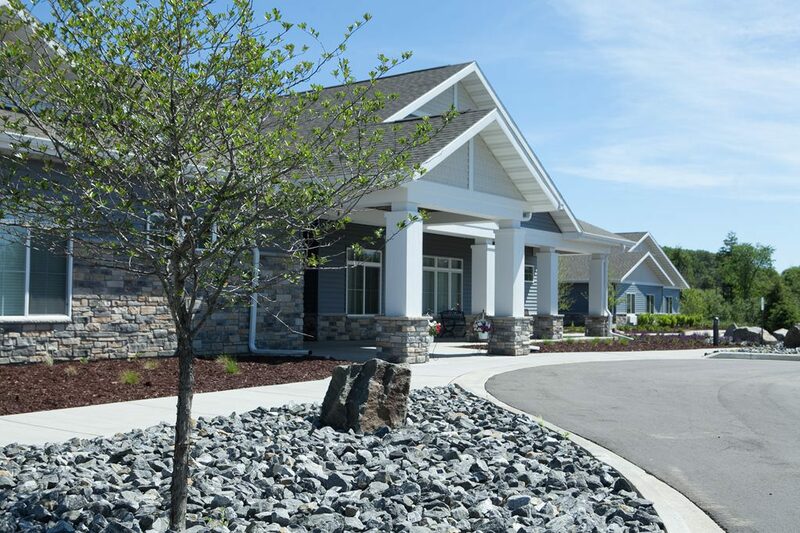 Assisted Living Facilities offer different amenities and services from independent living facilities. Assisted living communities primarily offer personal care services and some skilled medical care. Seniors who need extra assistance with day-to-day functions such as, bathing, getting dressed, using the toilet, grooming, etc., and light medical care would benefit from an assisted living facility. The staff in assisted living homes offer around-the-clock personal care for the community residents, which can ease worries concerning a senior’s need in the middle of the night. These communities are best for seniors who do not need around-the-clock medical care, but require additional help with everyday activities. Similar to independent living communities, assisted living homes will provide maintenance services such as cooked meals, housekeeping, and laundry. These homes also provide social programs and activities, encouraging its residents to enjoy themselves and build relationships. It is important to remember that assisted living homes offer a limited amount of medical care. If your senior loved one needs more intensive nursing or medical assistance, a skilled nursing facility will be a better choice for your loved one. Skilled nursing facilities, also known as nursing homes, are another option for a senior care home. Unlike other care facilities, nursing homes offer around-the-clock medical assistance and services. Nurses and medically-trained assistants comprise the staff in a nursing home, giving the residents the utmost medical care. Nursing homes are best suited for seniors who suffer from chronic illness, disease, and other conditions that require intensive medical assistance. Many seniors who have suffered from an accident or injury may stay in a nursing home for a certain amount of time during their recovery period. In addition to providing personal care assistance to the residents, nursing homes also provide various therapies such as speech, physical, and occupational therapy to strengthen its residents. These facilities are also well equipped with medical tools and devices to allow for intensive medical care for its residents. Assistance programs such as Medicaid and Medicare provide limited coverage for nursing home stays. Unlike independent living communities and assisted living homes, skilled nursing facilities are heavily regulated by the federal government and have stricter rules concerning management and maintenance. Like assisted living homes, care homes provide services that help seniors in personal care, such as bathing, walking, getting dressed, etc. The main difference between a care home and an assisted living home is in its size and level of care. Care homes, also known as board and care homes, are typically in a residential home which house fewer than six residents. Most of the staff are qualified care assistants who monitor the residents 24 hours a day. Some facilities have trained skilled nurses present and provide medical assistance when needed. Care homes are primarily suited for seniors who enjoy being in a smaller living facility as opposed to a larger community. These homes are more intimate and have a smaller communal space. The home also provides meals, social activities, personal care assistance, transportation, and monitoring. Care homes are intimate living facilities that focus on personal care and provide medical care on a needed basis. Sometimes a senior will need a facility that is equipped to care for a specific disease such as dementia and Alzheimer’s disease. In this case, a memory care facility would be best for seniors who have difficulty with cognitive functions and memory. Memory care homes are designed for resident safety, comfort, and familiarity. The facility’s layout reduce the risk of wandering behavior while increasing recognition. Structured programs and routine schedules help slow down memory loss and help its residents feel safe in a familiar environment. Like assisted living communities, memory care homes offer services and amenities catering to activities of daily living. This means that there will be a prevalent support system to help residents in personal care needs such as eating, bathing, getting dressed, toileting, medication management, and other daily tasks. Other amenities and conveniences at memory care centers include well-balanced meals, programs and social activities, fitness programs, physical therapy, housekeeping, and laundry. Many memory care facilities are stand alone. However, some assisted living facilities will also have a memory care wing. Depending on the disease’s level of progression, one may be more suitable than the other according to the amenities that are offered. Tour a community to decide which home would be best suited for the senior’s level of need and care. Choosing the right home can be a stressful process as you prepare for the challenges of moving your loved one into a home. Take the time to ask questions to each facility you visit. As you evaluate your loved one’s needs and the facility’s ability to meet those needs, be mindful of the advantages and disadvantages each community carries. If you are searching for the right facility for your loved one, Senior Care Center is here to guide you. Our advisors are available to answer your questions and concerns about each type of home. We can also inform you of the different ways to financially plan for senior care. Call us now at (866) 518-0936 to set up a one-on-one appointment with a personal advisor who will walk through the process with you. We can also help you set up tours for each community you are interested in viewing. Our advisors are here to help you explore every option and will help you examine the many benefits of each residency. We’re happy to help you select the right home for your family.